Transitioning a senior parent to an assisted living facility can be a difficult adjustment, for everyone involved. However, in many cases, it is also necessary to ensure safety. These tips will help you ease the transition and choose the best nursing homes that everyone will feel comfortable with. You can learn important information about nursing homes online, but you cannot really get a true feel for the comfort of the home that way. Schedule multiple nursing home visits. Take your senior parent along on the tours. Give them a say in the one that makes them feel the most comfortable. 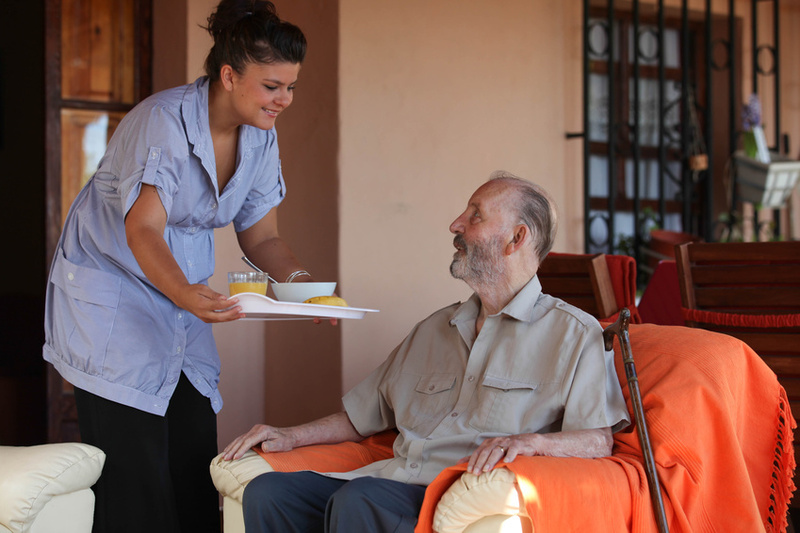 Additionally, when you view nursing homes in person, you can also get a better idea of things like the friendliness of the staff, the attention that each resident gets, and the cleanliness of the nursing home center. If a nursing home is hesitant to give you a full tour in person, it might be best to go with a different choice. Many seniors make the tough decision of moving to a nursing home because they have pressing medical conditions that cannot safely be treated at home. If you are going to move your senior parent to a nursing home, make sure they are prepared and qualified to care for their medical conditions. Some medical conditions can prevent the ability to complete daily tasks like cleaning, grooming, or cooking meals. Almost 40% of residents living in residential care facilities in 2010 received assistance with three or more activities related to daily living. One of the most common medical conditions that seniors deal with today is dementia, especially Alzheimer?s disease. One in every eight people over the age of 65 in the U.S. has Alzheimer?s. The care for someone with Alzheimer?s or any other type of dementia is a specialized type of care. Make sure the nursing homes that you are considering have special regulations and care tips in place for these patients. This nursing home will become your senior parent?s home. This is where they will eat meals, sleep, and spend the majority of their time. With a lot of downtime, it is also important to inquire about the types of activities and amenities that the nursing home offers to its residents. If the center does not offer anything, your senior parent is likely to get bored very quickly. You will find that most nursing homes offer something in terms of resident entertainment, but you should choose one that fits with your parent?s interests. Inquire about how to sign them up for group classes and outings. These are the types of experiences that make nursing home living more ideal. Again, your senior parent is moving to the nursing home because of safety concerns. What are the safety plans of the possible nursing homes? Is your parent able to just get up and walk out of the center? Is someone from outdoors able to simply walk into the center, even if they have no family members staying there? What does the center do in the event of an emergency? Do they wait until the on site medical physician comes in or do they call for an ambulance? Is it on you, the adult child, to contact the ambulance? These are all important safety factors to consider. According to data from the American Health Care Association, there are 15,655 skilled nursing care centers in the United States. When it comes time to choose one for your senior parent, it can be an overwhelming decision. With so many to choose from, make sure you are looking at the best deciding characteristics. In addition to ensuring that your parent is happy, you also want them to be safe and medically cared for.